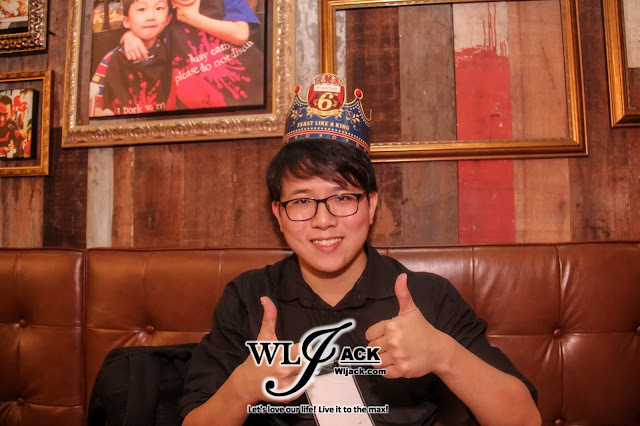 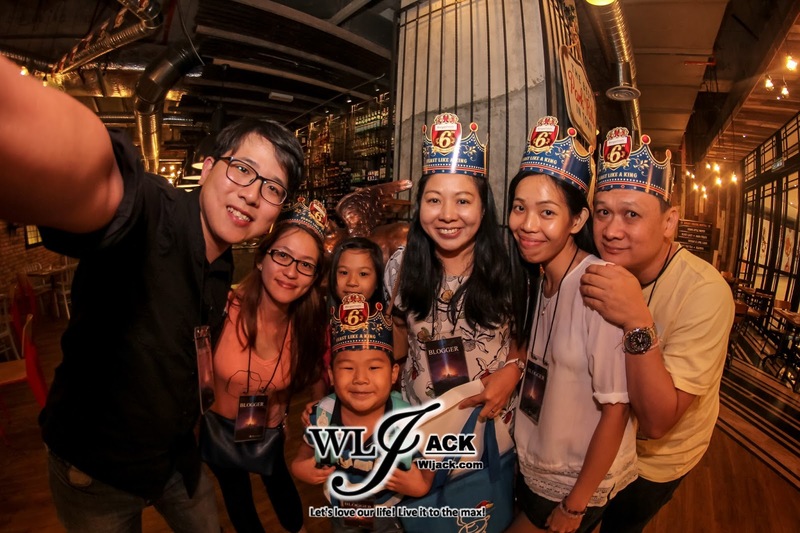 Genting Highlands, July 2017- As mentioned in my previous post (check out Starbucks Reserve @ Sky Avenue: http://www.wljack.com/2017/07/food-outing-starbucks-reserve-sky.html), my wife Josephine and I have taken our time to explore the food and beverage outlets at Sky Avenue Genting through a 36 hours Food Trail! Our second stop was at Morganfield’s @ Sky Avenue, Genting Highlands. 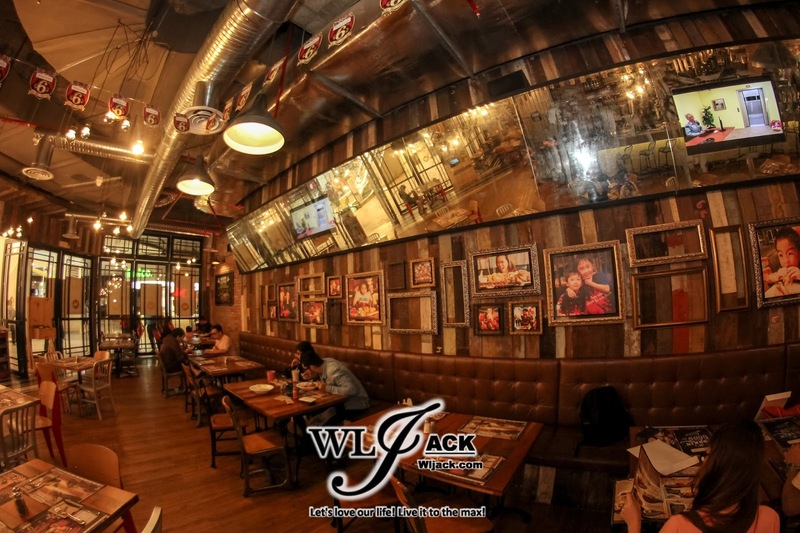 A western food restaurant which focuses on great soul food and music. 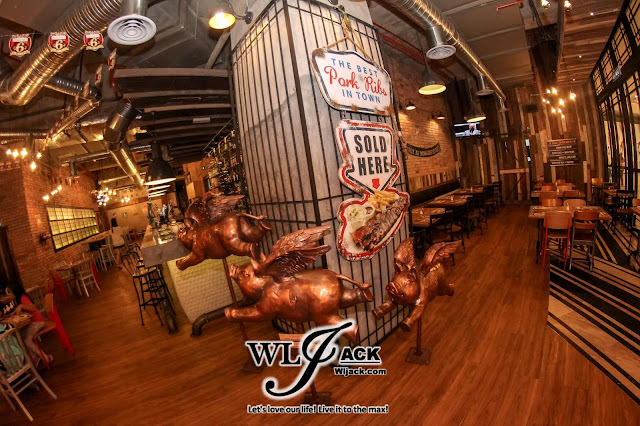 It’s Porkin’ Good In Here! 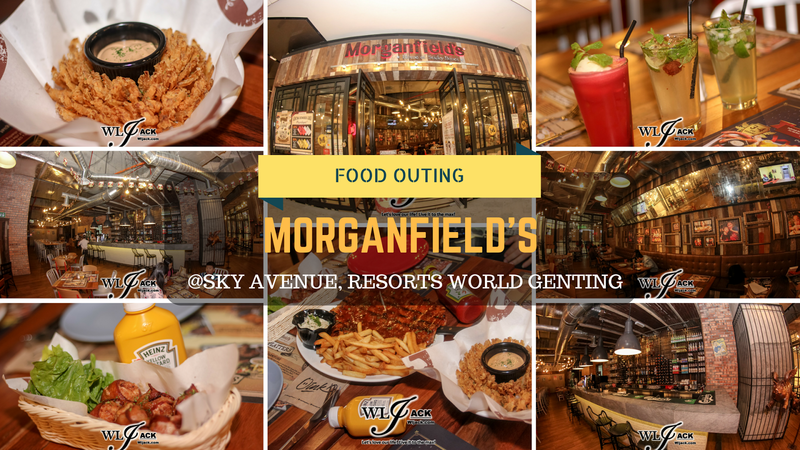 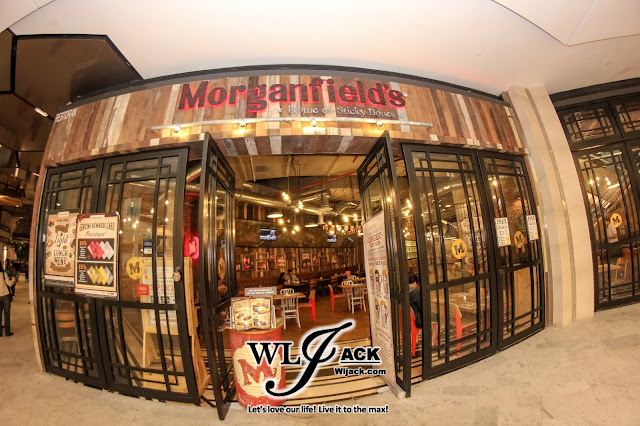 Featuring an American-style western restaurant atmosphere, Morganfield’s serves one of the best pork ribs in Sky Avenue, Genting Highlands. 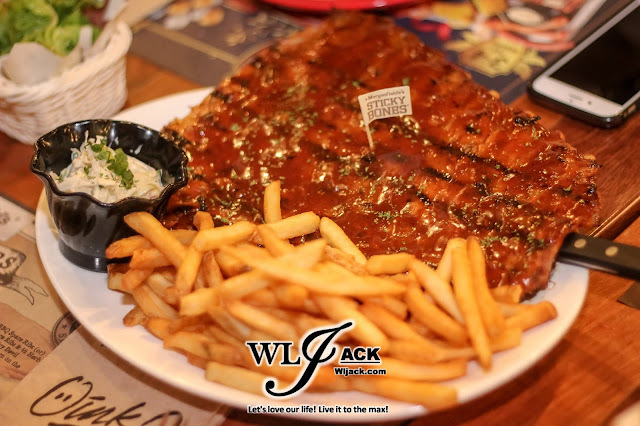 Here, we have filled our tummy with the taste of a full slab Spare Ribs (at RM 62.90 for half slab, RM 106.90 for full slab). 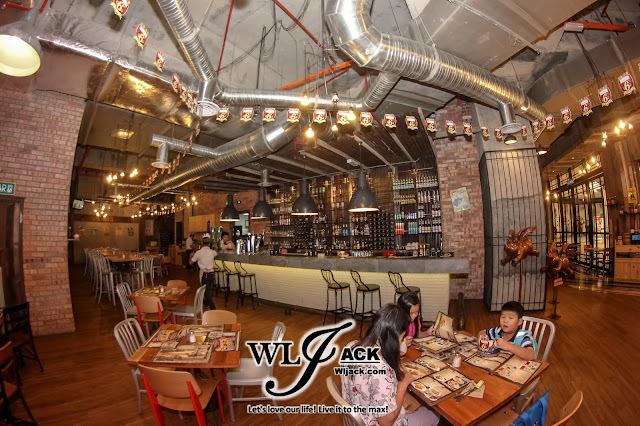 The rib steak is imported from Spain. 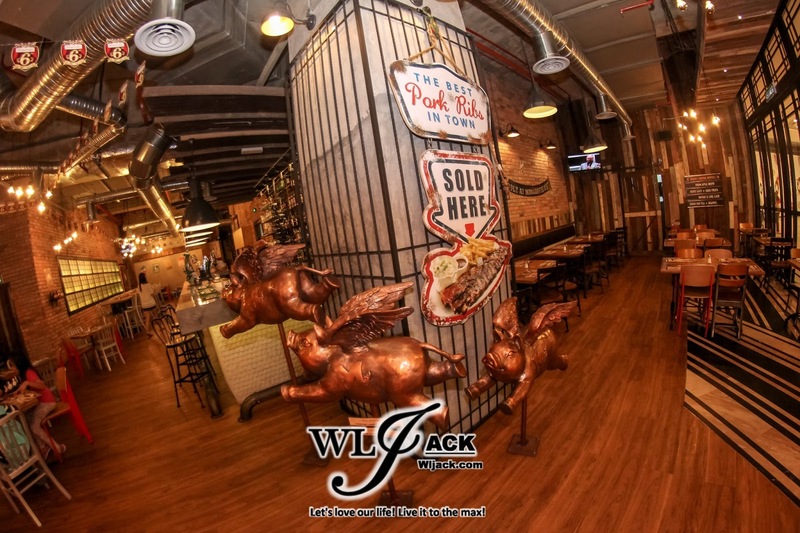 It is oven cooked 3 ½ hours in order to be softened and the taste of it…is simply succulent! The rib steak is also served with French Fries which are imported from America. The French Fries has a distinct flavor thanks to its special seasonings. We also get to savor the appetizers here, Bacon Wrapped Meat Balls (priced at RM 20.90) and Onion Blossom (priced at RM 26.90). 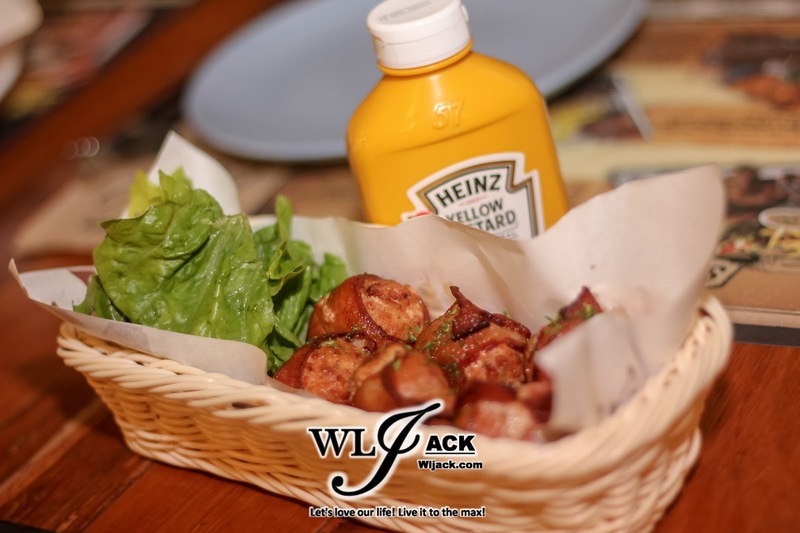 The Bacon Wrapped Meat Balls consists of Homemade Meatballs wrapped with bacon served with lettuce leaves and mustard. 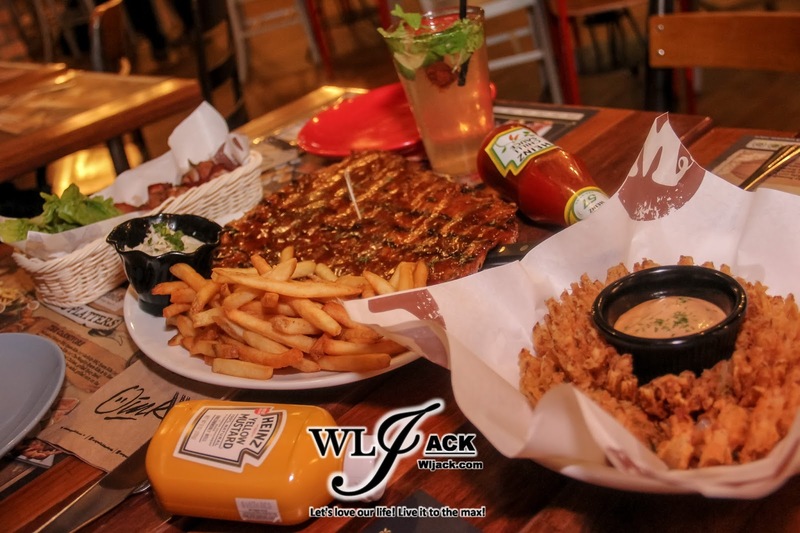 It is really juicy and yummilicious! 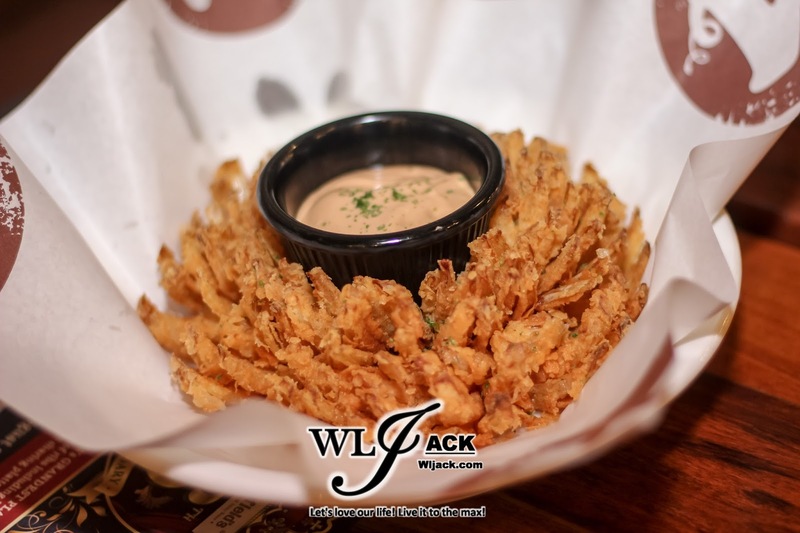 The Onion Blossom on the other hand consists of giant imported onion and shaped using a special machine! 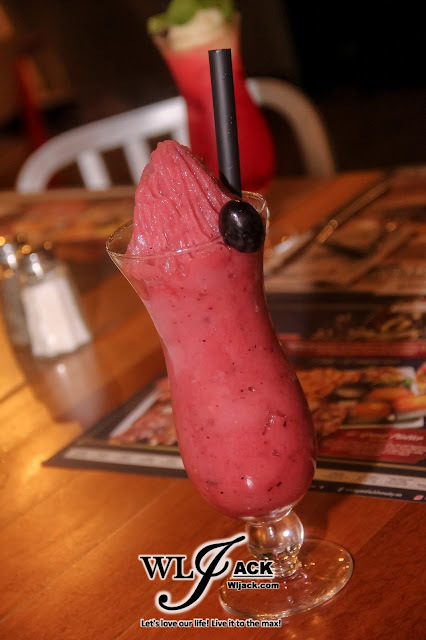 Crispy and delightful! 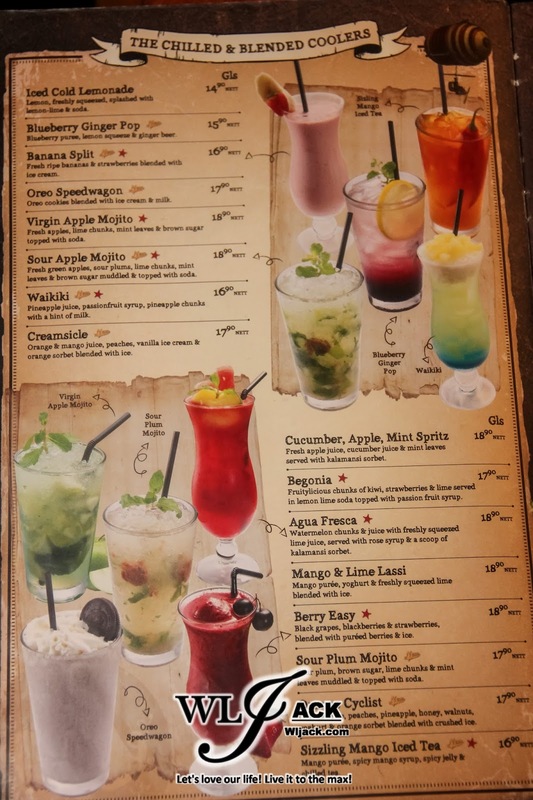 In addition to that, we also get to try a few of the beverage options here including Virgin Apple Mojito (RM 18.90), Sour Plum Mojito (RM 17.90) and Agua Fresca (RM 18.90). 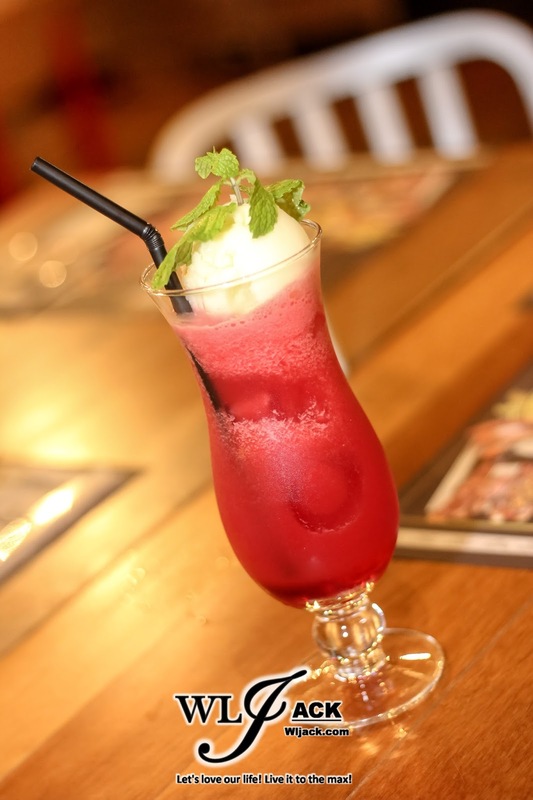 Great food combined with great refreshing drinks! What a heaven! In conjunction with Morganfield’s 6th Anniversary, they also introduced their possibly Grandest Platter to date with Le Grand Platter (suitable for 3-4 sharing, priced at RM 226.90). 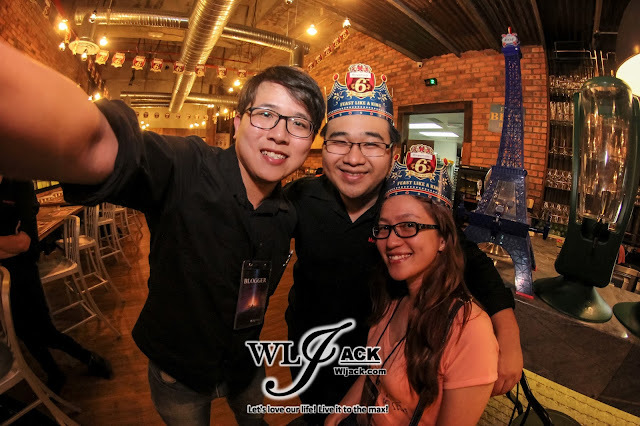 This promo will last from 1st July – 15th August 2017!